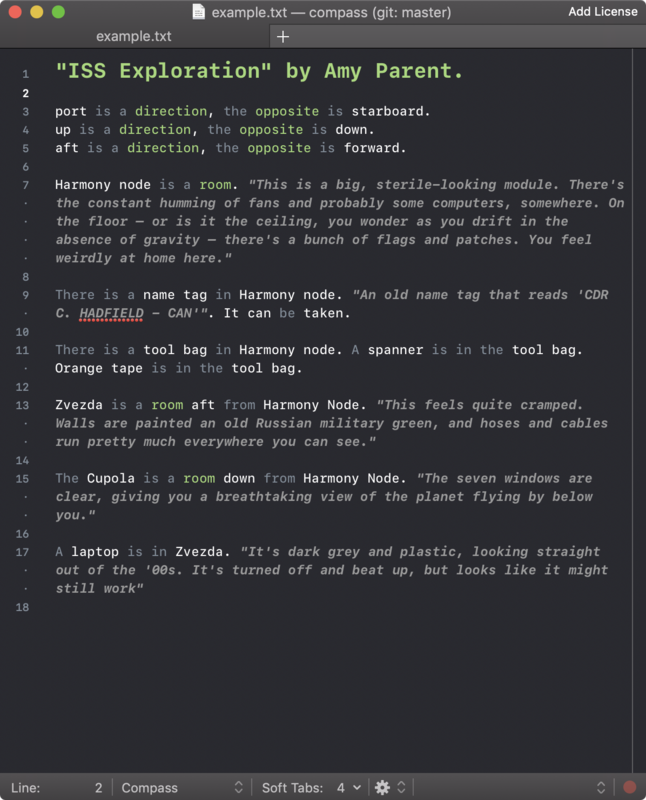 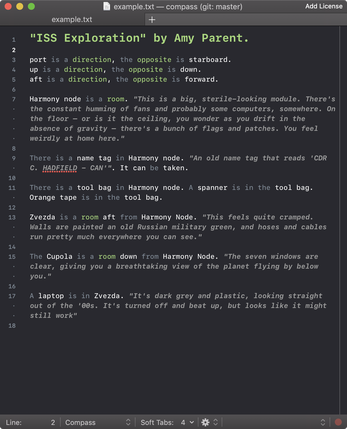 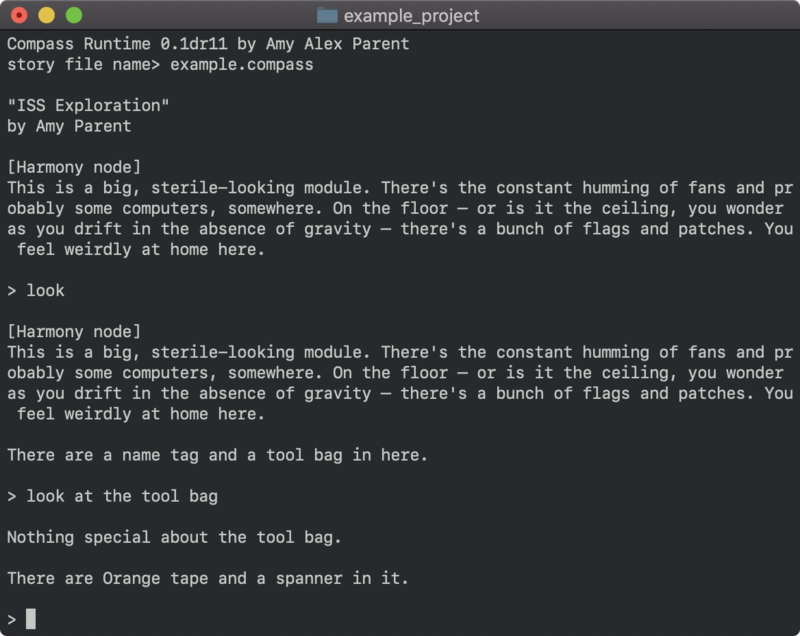 Compass is an experimental engine for interactive fiction. 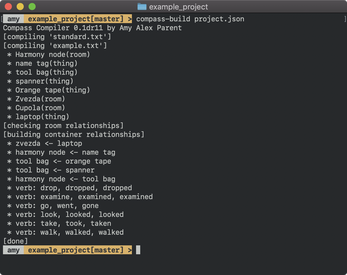 It's heavily inspired by Inform7, but I wanted something simpler in some ways, different in others, and mostly liked the challenge of writing a parser for this. 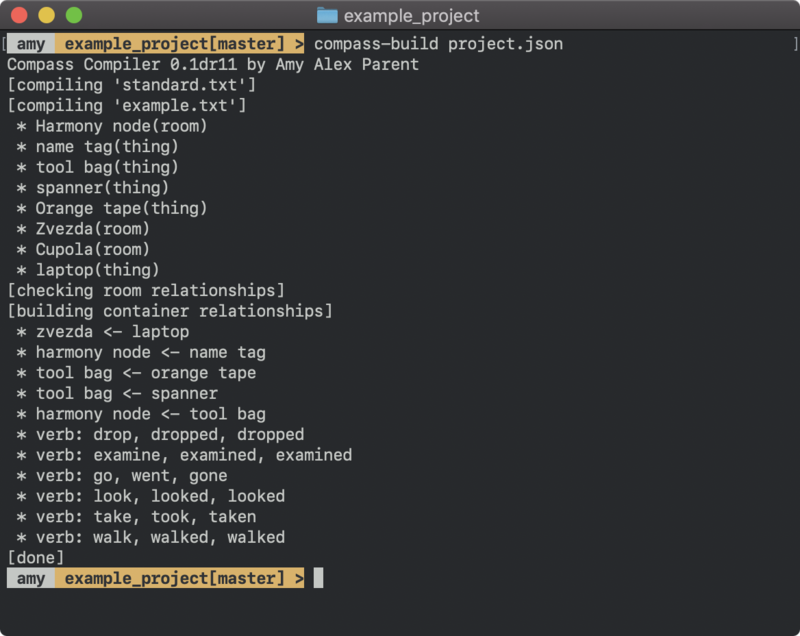 It's very early in the development still, and I wouldn't recommend anyone rely on the syntax not changing, but feel free to experiment. 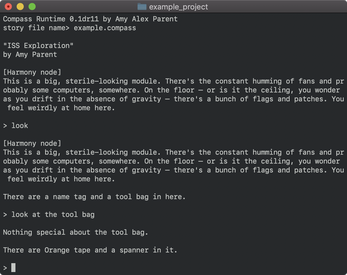 Type in the name of your .compass file and it will start the game.